It has been a while that any significant weather system has developed in Bay of Bengal. After the passage of Cyclone Gaja and the well-marked low pressure area thereafter, Bay of Bengal has remained quiet. However, the lull period is about to end as weather models are indicating towards formation of a fresh weather system in the Indian waters. At present, a cyclonic circulation is seen over Southeast Bay of Bengal and adjoining Equatorial Indian Ocean. According to Skymet Weather, the system is travelling in lower latitudes and in favourable weather conditions. Thus, we expect the cyclonic circulation to induce a low pressure area by December 6. For the next 24 hours, the rains would be confined to the sea for the next 48 hours. Thereafter, as the system moves closer to the Sri Lanka coast, it would start giving rains over the coastal Tamil Nadu and Sri Lanka. As per weathermen, we are expecting fairly widespread light to moderate rains with isolated heavy showers over Sri Lanka and southern parts of Tamil Nadu. 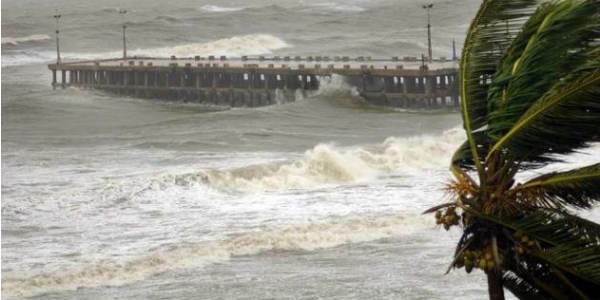 The system would be moving at a slow pace in southwest direction across South Tamil Nadu. Thus, rains would be confined to South and Central Tamil Nadu. However, northern parts of the state including Chennai would only settle with some light rains and cloudy sky.